Buhl Planetarium: Shortly after Christmas of 2002, it was learned that the City of Pittsburgh had permitted The Carnegie Science Center to dismantle the historic Zeiss II Planetarium Projector (before dismantling, it was the oldest operable major planetarium projector in the world! ), 10-inch Siderostat-type Refractor Telescope (second largest operable Siderostat Telescope), and the Mercator’s Projection Map of the World (world’s largest such map, when installed for the 1939 World’s Fair in New York), and these historic artifacts were moved to the Science Center’s warehouse, located across the street from The Carnegie Science Center. The Rise of Steel Technology mural, by local artist Nat Youngblood, was also dismantled and stored in the Buhl Planetarium building. Although the 2002 April “Request for Proposals” (RFP) document [See also Friends of the Zeiss reply to RFP and preservation proposal] , issued by the City, stated that the winning applicant would receive lease agreements for the four historic artifacts, the City negotiated three “Memoranda of Understanding” with the Science Center, for the three artifacts moved to the Science Center’s warehouse. A “Memorandum of Understanding” is a legal agreement between two parties, which is not as specific as a lease agreement. Apparently, this legal maneuver was used to silence our (i.e. Friends of the Zeiss) complaints that the Science Center could not legally lease the artifacts, due to their non-compliance with financial terms of the RFP. Although the Science Center had indicated that the three artifacts would be reassembled in an expanded Science Center building (the Zeiss Projector would not be used for star shows; it would only be a partially-activated exhibit), the proposed $90 million Science Center expansion project was cancelled in 2003 May. Although Science Center officials have said that they still want to expand the building, there are no plans or funding to do so. There is no space to reassemble the Buhl artifacts in the current Carnegie Science Center building. So, the three artifacts now remain, dismantled, in the Science Center warehouse, with no plans for reassembly in the foreseeable future—and, they are now at-risk. This warehouse, along with Three Rivers Stadium and the rest of the North Shore, was under water during the Hurricane Agnes flood in June of 1972. Should there be another major flood, which the National Weather Service has said is certainly possible, these artifacts would be destroyed while stored in this one-floor and basement warehouse. No matter how much insurance the Science Center has for these artifacts, there is no way to replace a historic 1939 Zeiss II Projector! I have delivered numerous public statements, about this problem, before Pittsburgh City Council and the Board of Directors of the Allegheny Regional Asset District (RAD). Thus far, my statements have been ignored. In 2003 May, three months before the official groundbreaking for the Children’s Museum expansion project, Buhl Planetarium’s Theater of the Stars, Astronomical Observatory, and Little Science Theater had been GUTTED! All that is left in the Planetarium Theater is the inner dome and the historic Westinghouse “Worm-Gear” Elevator, which held the Zeiss Projector (located below the Theater). The world’s first permanent theatrical stage in a planetarium is gone! Although the Children’s Museum has raised the vast majority of the money needed to complete their expansion project, there is a definite question as to whether they will be able to remain financially solvent once the expanded building opens. According to the Children’s Museum’s Fiscal Year 2004 grant application to RAD, the Children’s Museum has had operating budget deficits for the last four years—half-million dollar deficits for the last two years! Currently, they have permission from the expansion project funders to use expansion project money to subsidize their operating deficit. However, once the expansion project is completed this pot of money will be depleted; how will they, then, be able to fund the operation of a building four times the size of the current museum operation? Friends of the Zeiss strongly believes that if the Children’s Museum expansion project must go forward, then additional revenue sources must be found for operating the expanded building. 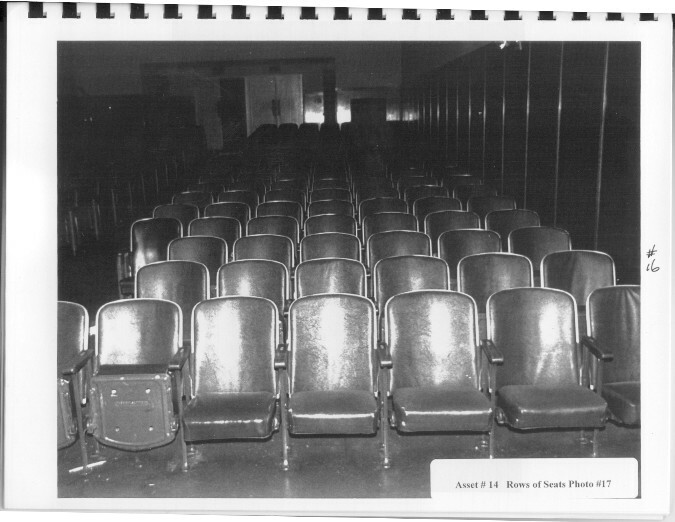 To maximize the revenue potential of the Buhl Planetarium building, and attendance to the expanded Children’s Museum, the historic Zeiss II Planetarium Projector and 10-inch Siderostat-type Refractor Telescope must be returned to the Buhl Planetarium building for historical presentations in the expanded Children’s Museum. Pennsylvania General Assembly, Bill 1141 was modified to give City Council a veto over the sell-off of library buildings. Squirrel Hill, and the first floor of the Main Branch. Carnegie Library did not attempt to buy from the City and sell-off any library buildings. the library was going to be moved. The majority of the neighborhood residents in that meeting was outraged and opposed the abandonment of the historic library building. Again, at a November 5 public hearing, before Pittsburgh City Council, the majority of speakers opposed the abandonment of the historic Hazelwood Library building. Additionally, several Hazelwood residents testified against the library building abandonment before the RAD Board; RAD sent this testimony to Carnegie Library officials. All of this neighborhood opposition has had little effect on Carnegie Library officials; they made a decision and, apparently, they intend to stick with that decision. the abandonment proposal. Title 22 of the Pennsylvania Code requires that all public libraries, which receive State funding, comply with the Sunshine Act and the Right-to-Know Law. Sunshine Act may be necessary.